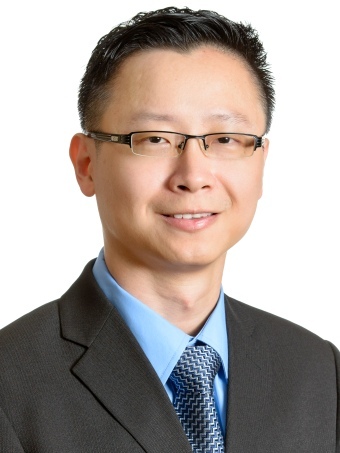 Dr. TAN Wee Kek is currently a Senior Lecturer in the Department of Information Systems & Analytics at the School of Computing, National University of Singapore. He is also a Fellow of the prestigious NUS Teaching Academy. He graduated with a Doctor of Philosophy in Information Systems in July 2013 and a Bachelor of Computing in Information Systems (1st Class Honours) in July 2007, both from the National University of Singapore. Prior to this, he attended Singapore Polytechnic and graduated with a Diploma in Computer Information Systems with Merit in July 2001. His current primary research interests focus on consumer-based information technology (e.g., online decision aids, social computing, virtual worlds and consumer cloud services). Most of his research is based on design science, a well-established problem-solving paradigm that has been widely adopted in information systems research. His current secondary research interests focus on information systems education. His work has been published or is forthcoming in journals such as Journal of the American Society for Information Science and Technology (JASIST), Decision Support Systems (DSS), Communications of the Association for Information Systems (CAIS), and Journal of Information Systems Education (JISE). His work has also been presented or is forthcoming in conferences such as ACM SIGMIS Computer Personnel Research Conference (SIGMIS-CPR), IFIP Working Group 8.2 Working Conference (IFIP WG8.2), European Conference on Information Systems (ECIS), Americas Conference on Information Systems (AMCIS), and International Conference on Human-Computer Interaction (ICHCI). He has won the faculty level Research Achievement Award in 2013 and was a nominee for the ACM SIGMIS 2009 Magid Igbaria Outstanding Conference Paper of the Year. His current teaching interests include imparting senior undergraduate students with knowledge and skills to develop enterprise information systems as well as teaching them principles of information security management, and concepts of mobile and ubiquitous commerce. He has won the University level Annual Teaching Excellence Award for AY 2009 to 2012. In addition to this, he has also won the Faculty Teaching Excellence Award for AY 2008 to 2011 as well as the Faculty Best Teaching Assistant Award for AY 2007/2008. For his sustained commitment to teaching excellence, he has been placed on the Faculty Teaching Excellence Award Honour Roll for AY 2010/2011 and University level Annual Teaching Excellence Award Honour Roll for AY 2012/2013. Most recently, he was conferred the Commendation Medal (Pingat Kepujian) by the President of the Republic of Singapore on the occasion of the National Day Awards 2017. He is presently one of the faculty advisors of the NUS Students' Computing Club, a constituent club of the National University of Singapore Students' Union, and the lead faculty advisor of the NUS BiZiT Society, a student special interest group on business and information technology. Please click here to download my latest complete curriculum vitae. NUS BiZiT Society is a newly launched student special interest group on business and information technology at the National University of Singapore. © 2006-2018 Tan Wee Kek. All rights reserved.